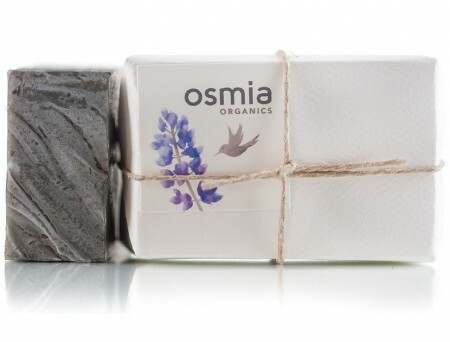 I recently did an in-depth review(here) on some products from the lovely Osmia Organics which I received a lot of feedback on and was so happy to recommend the products to people because I truly only share the products that I use and love myself on my blog. All of my opinions are always honest. I wanted to try out more of Osmia’s goodies as I could not get enough and I ordered a few times and I was also sent some samples of a few other items which I have been trying out for the past few weeks and wanted to give my opinions on because I am still blown away by how amazing everything is. Finely ground, organic walnut hulls in a sandalwood cream base with rhassoul clay and aspen bark extract give a balanced combination of resurfacing and replenishment. How To Use: only a tiny amount (pea-sized) of this dark paste is needed. using the lightest pressure, massage in tiny circles with your fingers (not a washcloth) over your wet face and neck for about 60 seconds, and rinse clean. use once every 7-10 days. My Thoughts: I first noticed how small the bottle is! I was expecting it to be large but never even noticed on the website it clearly states it is 0.50 ounces! That may seem like a very small amount for $26.00 but honestly the TINIEST amount of this scrub goes a really, really long way. It is also meant to only be used every 7-10 days. With that in mind I do think that although it is not a huge amount that it is still worth the price. It literally removes every dead skin cell off of my face without leaving it dry or irritated or even red! My biggest tip would be to really make sure to not scrub too much with this because it is extremely intense and is not meant to be scrubbed into the face with anything more than a very light pressure. I find that even with my sensitive skin that using this scrub every few days does not leave my skin irritated at all. I really love this stuff. I am going to need to get back ups! 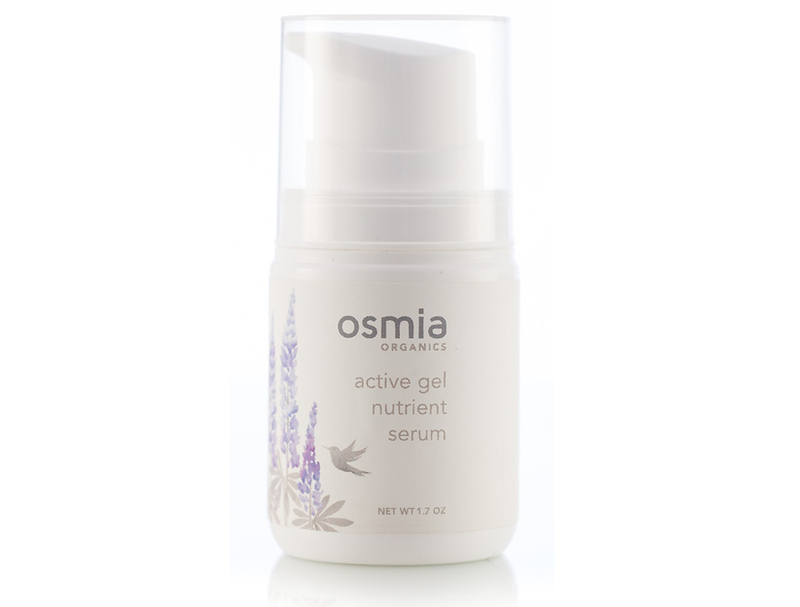 hyaluronic acid encourages moisture retention in the skin, and botanical extracts support collagen function to help keep the skin firm. Ingredients: aloe barbadensis leaf juice*, glycerin, camellia sinensis (white tea)* extract, calendula officinalis extract*, hydrolyzed rice protein, oat beta glucan, leuconostoc/arundinaria gigantea ferment filtrate, niacinamide (vitamin B3), sclerotium rolfsii gum, hydrolyzed oats, hyaluronic acid, proprietary blend of organic essential oils. 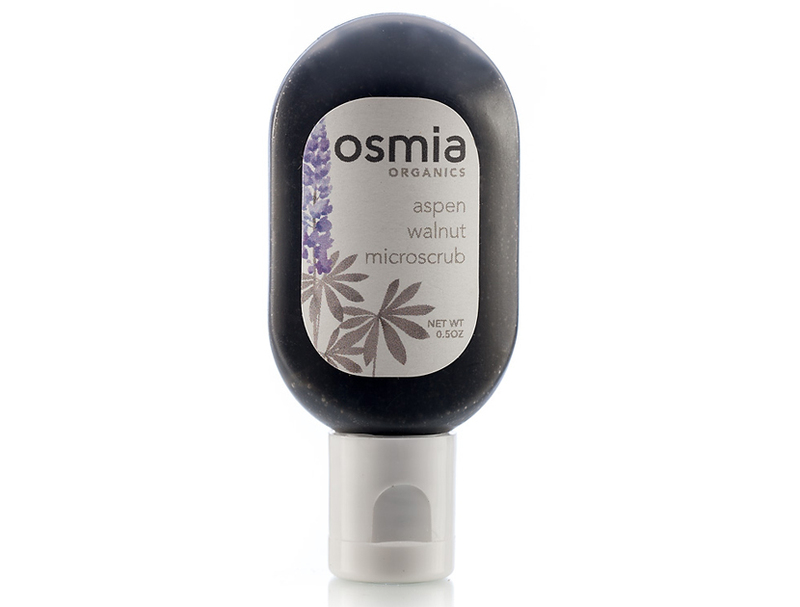 My Thoughts: This is actually my favorite item of all of the Osmia Organics products I have used!! It’s close with the Rose Clay Facial Soap but I absolutely LOVE this stuff. I have been using it every night after cleansing and before using an oil based serum or moisturizer and it literally makes my skin glow and feel tightened and I have noticed that any redness I had or irritation has disappeared since using this. I only have a sample of this so I will be purchasing the full size once it runs out because I honestly have not gone a night without using this since receiving it – I love it that much. How To Use: Apply to blemishes 2-4 times a day. My Thoughts: I forgot to include this in my photo above because I keep this in my purse at all times just in case of a blemish emergency! It’s so easy to carry around in my purse which I love. I couldn’t have received this at a better time because I was having a horrible time with my skin last week (due to hormonal issues) and I had at least three stubborn breakouts that would not go away. I put this on my blemishes before bed and woke up with them gone!!! I love the smell. My boyfriend made a comment about me smelling like lemons when he kissed me. It’s very powerful but if you like the smell of fresh lemons and essential oils then you will not mind it at all! black australian clay and dead sea mud balance the skin while organic almond, avocodo, and castor bean oils condition. For: normal and combination skin. How To Use: use one to two times daily. rinse skin well and gently pat dry. the smell of a hot summer night – floral and sweet, with a vanilla base. evokes memories of drinking honeysuckle nectar from the vines on the neighbors’ fence… this may be a limited run, depending on my ability to procure more of the amazing honeysuckle. My Thoughts: I received a sample of four natural scents and this is by far my favorite. They are all very unique and potent but this one really just caught my attention the most. It might be the vanilla base because I am obsessed with vanilla but I also love the hint of sweetness in this. It’s really beautiful and I like to wear it at night. It is definitely an investment but for such good quality and for being so unique and potent and being full of only healthy ingredients I think it is something that you shouldn’t feel guilty about splurging on! A little bit goes a long way too so I have a feeling the full bottle of this would last a while. 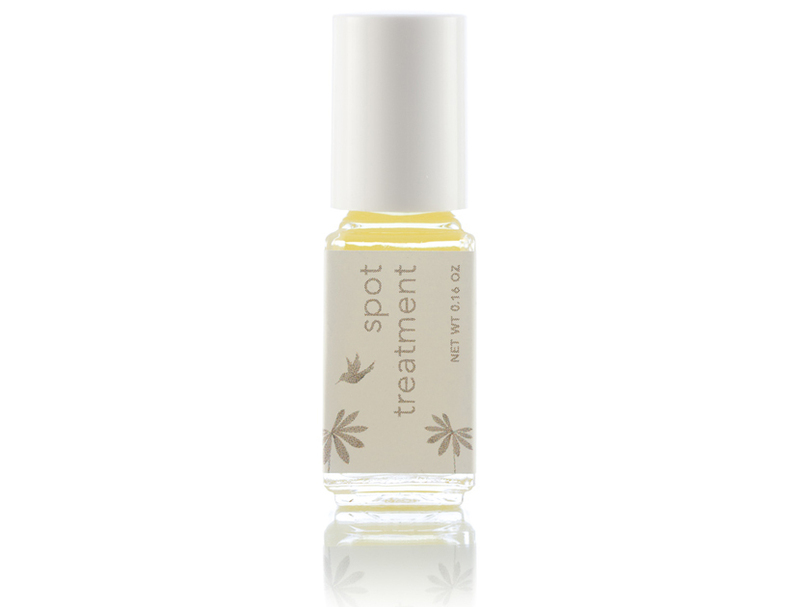 It also mixes really well with other roll-on perfumes, especially vanilla or coconut scented. Yum. 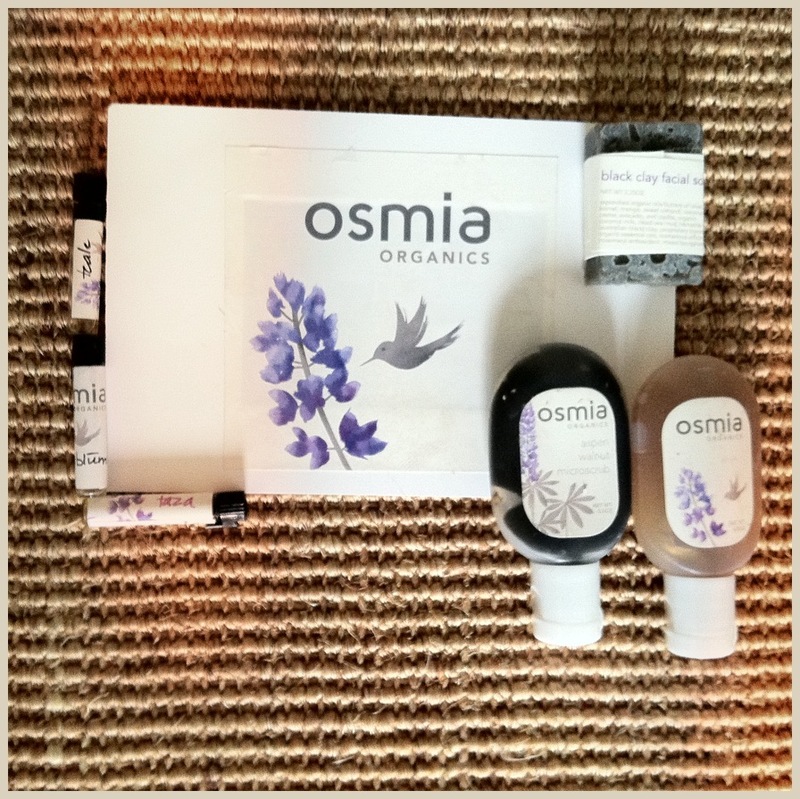 Thank you again to the ever-so lovely Sarah of Osmia Organics for continually surprising me with the amazing benefits of your products. They have not only made me excited to take showers and to take off my makeup at night so that I can use everything but have also inspired me to not wear as much makeup anymore because my skin just looks and feels so much better. Everything is so luxurious. I am now a devoted fan!